Famed Tuskegee Airman, Roscoe C. Brown is remembered for his valiant efforts in Europe which helped the United States and Allies win WWII. Brown served on the 100th Fighter Squadron, which was part of the 332nd Fighter Group - where he first piloted a P-51 Mustang escorting bombers in Romania. Brown later went on to serve as the 100th Squadron's commander after leading the 15th Air Force's longest mission near Berlin - along the way taking down a Me-262. In the video below, recorded in 2010, Brown recalls his experience shooting down the German jet. 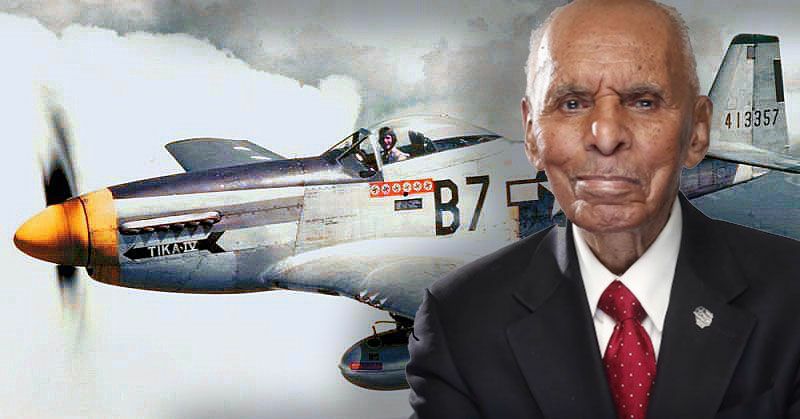 The Tuskegee Airman was later awarded the Distinguished Flying Cross and the Air Medal with eight oak leaf clusters, for his 68 combat missions. Despite unjust, and unfair racial divide, Brown served his country with strength and dignity. In 2007, Brown accepted the Congressional Gold Medal on behalf of all the Tuskegee Airmen from George W. Bush. Check out the video below for a tribute to Brown, and his achievements.